Leading up to the 1906 San Francisco earthquake, ambitious Mercy Wong talks her way out of Chinatown and into an elite boarding school. Fifteen-year-old Mercy wants more than what's expected of her as the daughter of a Chinatown launderer and his fortuneteller wife in turn-of-the-20th-century San Francisco. Ambitious due to her "bossy cheeks"—her high cheekbones symbolizing an assertive, independent nature—she boldly bribes her way to a scholarship at the tony St. Clare's School for Girls, where she hopes the prestigious education will land her not a prosperous proposal (she's happily matched to handsome and supportive Tom, the herbalist's son), but a life out of what the non-Chinese derisively call Pigtail Alley. Mostly, she hopes to save her sickly little brother, Jack, from a life of menial labor. At St. Clare's, Mercy must pose as a Chinese heiress. She makes an eclectic group of new friends, such as Italian-American Francesca, who Mercy realizes is at the bottom of the white pecking order, and tries to avoid the hawk-eyed headmistress. When the earthquake hits, plucky Mercy's quick-witted leadership rallies survivors in the tragedy's aftermath. 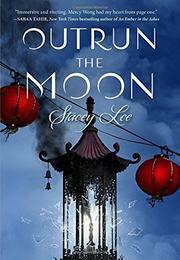 Full of beautiful turns of phrase, lessons in Chinese customs and superstitions, and a refreshing protagonist representing intersectional diversity, this is a must-read for followers of historical fiction.